"No minorities in crew" to contractor! We were just told that one of the Trump supporters in Calaveras recently needed some work done on his property and called around looking for a contractor. The only requirement was that he demanded "No minorities of any kind on my property" to that contractor. We understand that he did find one who agreed. Now that is sad!! VP Pence says Planned Parenthood money goes to..
Now that the Trump Presidency is forming, reality is hitting home. Vice President Pence has big plans for the money that taxpayers will save on Planned Parenthood. Pence wants that money to go to a fund to rehabilitate gays to become straight!! Now isn't that sweet?? John Oliver, on his show spent the entire time explaining the election to the voters. 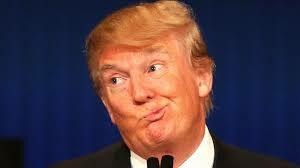 Although he said there is no explaining the Electoral College. It makes it clear that "No racist grandpa is too old to become President" He used foul language during most of the show that we will not repeat here. 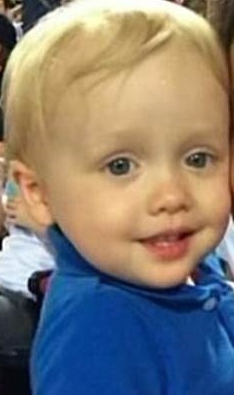 The father of Cooper Harris was convicted on all counts by a jury in the death of his son, who he left in a car in a hot parking lot for 7 hours where he worked at Home Depot. The man could face life in prison and has 30 days to appeal his conviction. November 14, 2016 at 2:15 PM: A car has reportedly overturned on West Lane at Ham Lane in the Lodi area. An ambulance is en route to the scene. Be extra cautious if in that area. According to a press release, an incident in West Point landed the apparent girlfriend in jail because of allegedly kicking and slapping, injuring a poor innocent deputy. Calaveras Supervisors hold another Special Meeting! On Tuesday November 15, 2016 the Calaveras Supervisors will hold a Special Meeting at 9 AM to discuss and approve the Sheriff's Office of Emergency Plan. Also at 8:30 AM prior to the public meeting is a closed session to appoint an Interim County Administrative Officer due to Shirley Ryan retiring. Both Kearney and Edson, the two defeated Supervisors, are expected to be present. OPED: Careless pursuit by law enforcement put public in danger--Poor judgment!! UPDATE: We are aware that something happened to a few comments on this article. We do not remove them unless they have bad language or are obvious untruths. We apologize for whatever the cause of the removal, and we will keep an eye on this issue. November 14, 2016 at 12:05 PM: A tire has been reported on Hwy 88 near the Hwy 104 intersection in Jackson. Be extra cautious until CHP can arrive and remove it from the roadway. November 14, 2016 at 12 Noon: An apparent case of road rage has been reported on Hwy 99 at Hammett Road in the Salida area where two vehicles had sideswiped each other. 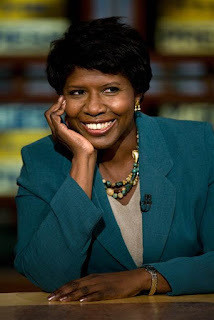 Gwen Ifill was a longtime newscaster and journalist at PBS, and had originally started at NBC. She died today at the age of 61. Ifill was reportedly in a hospice and had been suffering from cancer. November 14, 2016 at 9:50 AM: Be careful if driving to the Valley for work or to shop. It's tule fog season. Slow down and leave room in front of you to prevent collisions. On November 13, 2016 the Calaveras Sheriff's Office arrested John Berkeley Westfall (44) of Mokelumne Hill on Winton Road and Bummerville Road in West Point. Westfall was booked into the Calaveras County Jail for alleged Assault with a Firearm, Possession of Explosives, Willful Cruelty to a Child, Manufacture/Import/Sale/Possession of leaded Cane, Manufacture/Sale/Possession of Cane Sword, all felonies and for Possession of a Controlled Substance, Possession of Unlawful Paraphernalia and Receiving know stolen property under $950, all misdemeanors. November 14, 2016 at 9:25 AM: A car has left Hwy 4 near Tracy Boulevard in Stockton and gone into the canal. An ambulance and tow truck are en route to the scene. Watch for emergency vehicles if headed in that direction. November 14, 2016 at 9 AM: An injured deer has been reported at McCauley Road and Westhill Road in Rancho Calaveras. CHP is en route to kill the deer. Be cautious if in the area. November 14, 2016 at 7:50 AM: A traffic collision has been reported at Shaws Flat Road and Hwy 49.